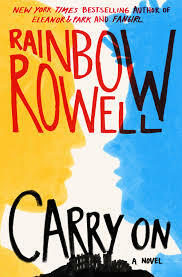 Just in case you don’t already know, “Carry On” comes from Rainbow Rowell’s book “Fangirl”. In “Fangirl”, character Cather Avery writes fan fiction based on the Simon Snow book series. Throughout the book, there are little excerpts of Cather’s fan fiction, which she titled “Carry On”. Is there really a book blurb necessary for this kind of thing? It’s hard to say. ha. Carry On is a fan fiction based on the 8th novel of a fictional series, so I imagine it must have been a little tricky to write. Rowell had to create and insert enough history and back story into Carry On to give the impression that the characters had been developed, created relationships, and had many adventures. For that reason, when it was over and I still had questions, it didn’t bother me because you can’t hold something like this to regular standards. For me, I was really in this to see the evolution of Simon and Baz, (for reference, think Harry Potter and Draco Malfoy) but there was still the villain, the Insidious Humdrum, that needed battling and all the things that needed to be fleshed out to make that battle happen. I still think this made for a complete and fun story on its own. 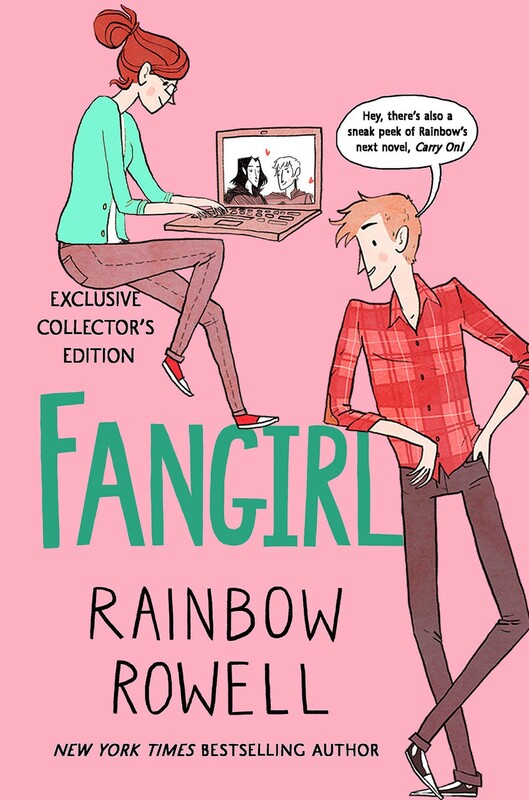 I also don't think you necessarily have to have read Fangirl first to read it, although readers who have already read Fangirl will have more context and background. I loved that this was close enough to Harry Potter to make me hungry to read it, but so completely different from Harry Potter that it was it’s own thing. Honestly can’t tell if I liked it for what it was, or if I liked it because its a well-done HP parody. Either way, I loved it. It was exactly what I needed to pull me out of a slump. It was fun, cute, clever, and overall entertaining. It just made me really happy to read. If Rainbow Rowell ever wrote all 8 Simon Snow books, I would read them.